Home comfort is expensive. We get it. Because of that, you try to squeeze as much use out of your furnace as possible. But everything has its limits. 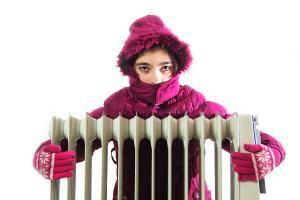 If your heating system is on the verge of breaking down, it could break down on the coldest day of the year. That’s not good. Here’s what to consider if you need a new furnace. The age of your appliance is a large factor when it comes to how well it’ll work. If your home was built by, or previously owned by, someone else, you will need to determine the age of your furnace. The unit itself or the owner’s manual should have the manufacture date listed on it, but you might need to call the manufacturer with the unit’s model number or doing a little Internet search yourself. A current model can operate for eight to 10 years, depending on the extent of use and how well maintained the unit is. If you discover that your unit is more than seven years old, it might be time to start considering replacement options. If your furnace is not a newer model that is Energy Star-qualified, it could be using a lot more energy than you’d like to pay for. While majority of the Energy Star-qualified furnaces (gas and oil) tend to cost more in initial investment (typically 15 percent), they can save you an average of $66-94 a year, according to the U.S. Energy Star Program. Have you had to make frequent calls to A.J. Perri for repairs on your furnace? Have you seen your energy bill continuously going up, even though the usage is the same? Has your furnace become excessively noisy (e.g. does it rattle, buzz or hum?)? Has your furnace started putting out excessive dust, dirt, soot or rust particles? Is your burner flame yellow instead of blue? Does your house seem drier or dustier than usual? Do you see visible signs of rust in and around your furnace? Do any of the components of your furnace show cracks or corrosion? If you’ve answered “yes” to any of these questions, it’s time to give A.J. Perri a call and have one of our home comfort experts take a look. If it’s time for a new furnace, we can work with you to choose the right Carrier gas furnace that’s perfect for your family, pocketbook and your home.